Wow so much to celebrate in the past week! Yesterday I finally got the news that I've been hoping to hear for over a year—that I've been accepted to my dream school. Being as obsessed with blogging as I am, one of my first thoughts was ooh this will make a good blog post haha. I'm pathetic. The whole process turned out to be easier than I expected, but definitely made me cry stress tears along the way. I always wanted to transfer after I found out that there just wasn't a spot for me to be moved off the waitlist. The quote that I always kept in the back of my mind was sometimes a No is really just a Not Now. The main reasons why I wanted to transfer is that my new school is cheaper, closer to my friends and family, and truthfully is a higher ranked school. I thought about applying after my first semester but talked myself out of it because 1) I didn't know if you even can, and 2) if I had another good semester then I'd have some solid grades to support my application. Luckily, back in May I got a letter from the Dean of Admissions inviting me to apply to transfer. I'm assuming that this is a something they do for the waitlisted people because we are more on the Maybe list than the No list. The hard part is that my school didn't release our grades until late June and our ranks until Mid-July so I wasted a few weeks seeing if I was even eligible to transfer. I read somewhere that supposedly some schools do this to make it harder for people to transfer out because of deadlines. But as soon as I got my grades back and was happy with them, I called the Dean of Admissions to personally let him know that I was interested, and explained that I had been waiting for my grades before applying. He reassured me that I wasn't late in the process and informed me that they make transfer decisions fairly quickly because they review and decide your file as soon as it comes in because they know that we have to move and whatnot if we transfer. Obviously this is the most important thing that you need to have down if you want to transfer. Your goal should be at least to be in the top half of your class rank if you want to transfer. As a general rule, the bigger the difference in ranks between your two schools, the higher you should aim for. Being in the top half of my class wasn't as hard as it sounds because I just tried my best in every class and ended up with my lowest grade each semester being only one C+ (thanks curve). 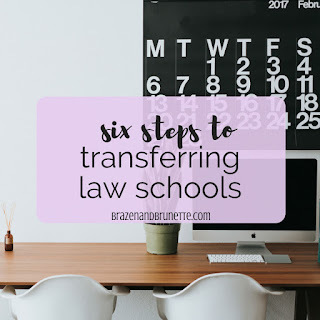 Having the goal of transferring already when I began my 1L year was a great motivator for me because I knew that I had my 2L and 3L years to get the grades for a job, but only this first year to get to transfer. The great news about transferring is that your LSAT is not as big of a factor as the first go around. When I mentioned that I was considering transferring to one of my professors, he told me this and it really gave me hope. My professor explained that this is because schools don't have to count transfer student's LSAT in what they release, so your meh score won't hurt their reputation. Now I'm not saying that a 120 will get you in, but if your score was borderline the first time you might still get in. This is because they still consider it to see if you're capable of doing well on finals and the bar, because these scores do affect their reputation. Going to a professor asking for a rec letter to transfer is awkward, not going to lie. I felt like I was indirectly telling them that I didn't like them or thought that I was too good for them, which was definitely not how I wanted to come off. Luckily though, they understood that it's common for people who do well their first year to try to use that to their advantage to move up the law school ladder. What really helped was that law school forces you to participate in class so your professors will actually have something to say about your class performance. Another thing that helps is that the classes are smaller and you have some professors for 9 months so they really get to know you. I just scheduled an appointment with them to go over my final and then at the end brought up about how I was considering transferring and asked if they would write a letter for me. One thing to definitely bring with you is a school résumé with your class rank and GPA so that they know your strong points to address. And make sure that you give your professors a deadline of when you want it in before your personal deadline because they will most likely have to submit it through LSAC and wait for that to be added to your file, which takes time. The first go around, I wasn't all that confident in my personal statement. My theme was basically "why I want to go to law school," and I felt like SpongeBob trying to write about what he learned in boating school. When I started to write a new one, I instantly started to have a theme of "why I want to transfer" and it ended up sounding very forced. Finally I decided that I hated it and wanted to start all over, and for some reason I just sat down and started writing it like I was writing a blog post, and it sounded much more like me. Once I treated the admissions committee like y'all, the words started flowing and I came up with a new theme. I took this girl's advice and used this as an opportunity to explain how I've grown this past year. To be honest it was tempting to mention Brazen and Brunette as an example of what I've accomplished since last applying, but I finally decided against it because I didn't know if this would make them take me less seriously since I didn't know if they'd actually come check this out or not. Luckily LSAC saves all of your application responses for 5 years, so the application part was easy peasy. Just make sure that when you go to fill it out, you choose a transfer application instead of a regular one. Oh and of course make sure you update your information so they have a current email and mailing address for you since you've probably moved since last time. Another thing to remember for your application is that you'll have to send in a new transcript from your current law school. I had to email them to get them to add my law school because at first my only options were high school or undergrad. Speaking of undergrad, if you were accepted into law school before your final grades from undergrad were posted, make sure you get an updated transcript from your undergrad sent in. It took about 4 business days for my school to mail off the transcript, and another business week for LSAC to add these to my file, so get this done ASAP. This was something that I didn't even know I needed until the school emailed me telling me that it was missing from my file. I'm assuming that this means that you have no holds, have paid all of your tuition, and are still a student at your current school. I had to visit Dean of Student Records to get this. At least at my school, before I could even get this letter I had to speak with our Assistant Dean for Law Student Affairs and be approved. All this involved was scheduling a meeting with him to explain why I wanted to transfer and my thoughts on the school. I made sure to request that my class rank be included in this letter because my transferring school required it and I wasn't sure if it was already included on my transcript. The hardest part of this was that I was transferring at prime vacation time so it did take over a week to get all of this done. Since all my application was waiting on was this letter of good standing, I went ahead and asked that a copy of the letter be emailed to the admissions people at my transferring school. Apparently Tech had already reviewed my application and all but accepted me because within 20 minutes of this being emailed out I got an acceptance email!! Oh my. I can't believe that you're going to be doing the whole starting at a new law school thing all over again. You are so much braver than I am. However, congratulations!!! One of my close friends went to Texas Tech for undergrad and I considered the law school. Good luck on your move! Thank you! It's weird that I was JUST making posts about moving to a new school and going through orientation for incoming 1L's, and now I'm about to have to follow my own advice and do this process all over again! Good luck on your move and have an awesome time at Texas Tech. I look forward to your future posts. Thanks Bailey! I look forward to reading about how your 1L year goes because I think it'll be interesting to have a new perspective on it! This post was so helpful! I am a 1L trying to transfer as well and this calmed a lot of my anxieties. I have a few questions for you regarding financial aid. How did the process work of transferring financial aid from your old school to your new school? Did you have any loans for the summer when you found out you were transferring? My situation is that I have been accepted to a summer program which I will be using financial aid for from my current school and I'm worried that transferring will jeopardize my eligibility to receive the loan. Lots of anxiety here!! Ps. 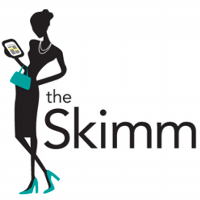 I've been reading your blog since I signed up for the LSAT. I love it! But thank you for reading my blog and I hope the rest of your transfer process is a smooth transition! If you find out the answer please comment back here so that any future students who have this issue will know what to do!